Happy is floor after floor of books. I agree! I love entering a book store and they are becoming rare here. Looks like my idea of paradise! Hooray to the books and do like that nice staircase too. I could spend hours in a place like this! 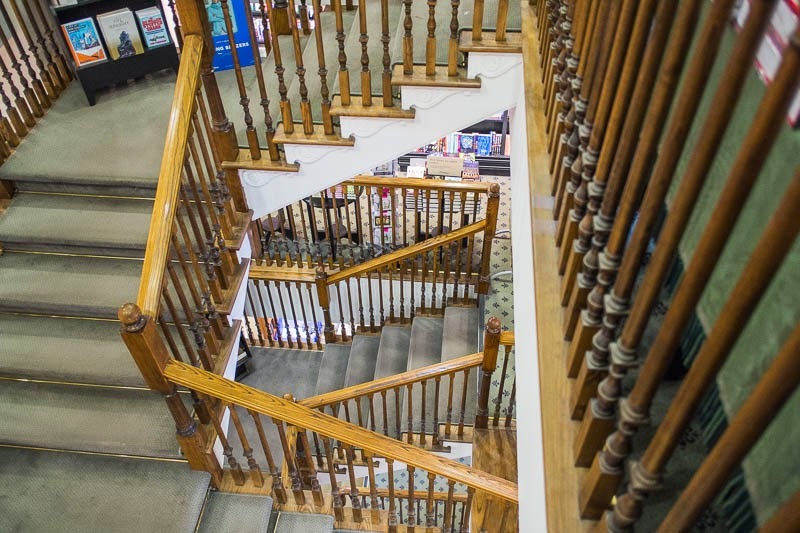 Such a staircase, and in a bookstore? I'd be quite happy there. I like the geometry of these stairs.